International Tech Park Limited or ITPL is one of the oldest software hubs in Bangalore. It is located around 18 km from the heart of the city and is home to many of the global IT giants such as Xerox, TCS, IBM and GE and others. Owing to the presence of a large number of offices, and its proximity to many other technology parks in the area, ITPL is considered to be one of the hottest residential areas too. It mostly sees an influx of employees from other states, which has given rise to a very cosmopolitan population there. Employees of these software companies prefer to stay close to their office and therefore look for Residential apartments in ITPL Bangalore . Those who look for Property in ITPL Bangalore are mostly impressed by the location advantages of this place and is proximity to all social amenities. There are various reputed schools, hospitals, and markets, which make this area very popular. 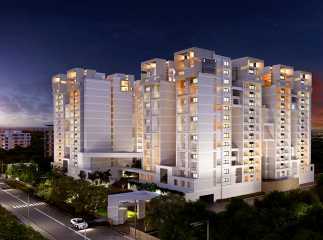 It is also very easily accessible from all other key areas of Bangalore. Owing to the tremendous popularity of this place, the rates of 3BHK Property in ITPL Bangalore have also skyrocketed in the recent times. ITPL is certainly one of the best places to live in Bangalore.